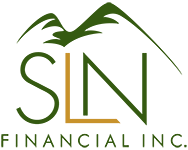 November 8, 2017 - How Life Insurance Can Help Business Owners | SLN Financial, Inc. Owning a business in the U.S. is an integral factor of our economy. In fact, the U.S. has 28.8 million small businesses, comprising 99.7% of all business in America.1 And while risks abound in entrepreneurship, owners can take measures to protect themselves and their companies by purchasing life insurance. Overall, if you are a business owner ‐ and you do not have life insurance for yourself or your company ‐ you could be setting yourself up for potential calamity. With some proactive steps, however, you can put in place the life-insurance strategies you need to keep your operations humming. If you would like to discuss coverage for your business, we’re more than happy to help.